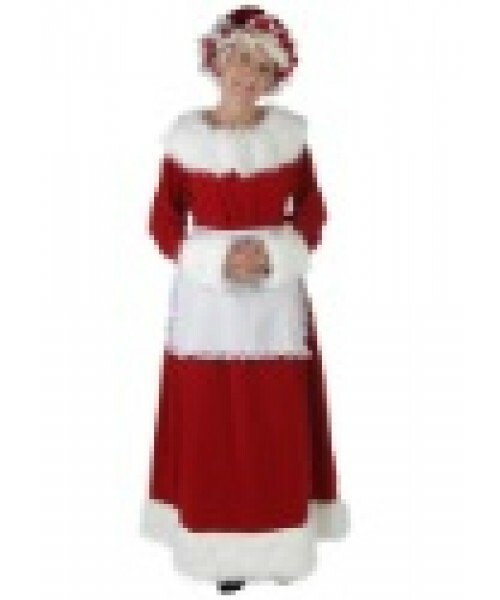 This Plus Size Mrs Claus Costume is a fun womens Christmas costume for the holiday season. Get this high quality Mrs Claus costume for your holiday party. Pamper Santa with loads of cookies and gallons of milk! Help him decide who is on the naughty or nice list while you are wearing this Plus Size Mrs Claus Costume. This is a classic costume that looks great on a Christmas card. Pair it with a Santa suit and become the most famous couple hailing from the North Pole.